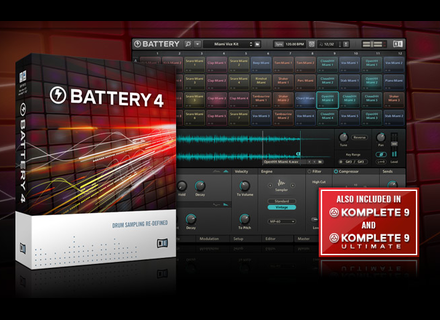 Battery 4, Virtual Drum Sampler from Native Instruments in the Battery series. Native Instruments updates 3 products. Native Instruments has released maintenance updates for Battery, Reaktor and Kontakt, in order to add the new MIDI keyboard support. Native Instruments has launched a lottery on the Komplete Facebook page with 50 software to win. You have one week to register. 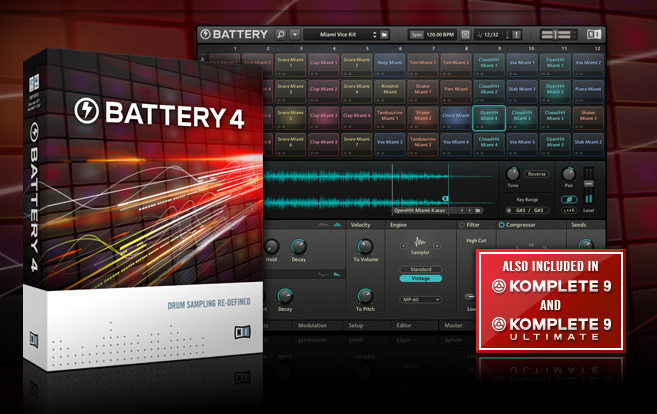 With version 4 of its “drum sampler” included in both editions of Komplete 9 and available separately, what does Native Instruments propose to do ? Answers below. Native Instruments announced today that its Komplete 9 and Komplete 9 Ultimate software bundles will go on sale on March 27th.